I could sit there and read a great book! I'd love to sit there with you Howard and we'd talk photography, how you got started, your philosophy, what you like to shoot, etc. Love your photos. I love benches like this, under a tree, among all the plants. It looks very peaceful and quiet. Nice comp on this serene place for a little contemplation. 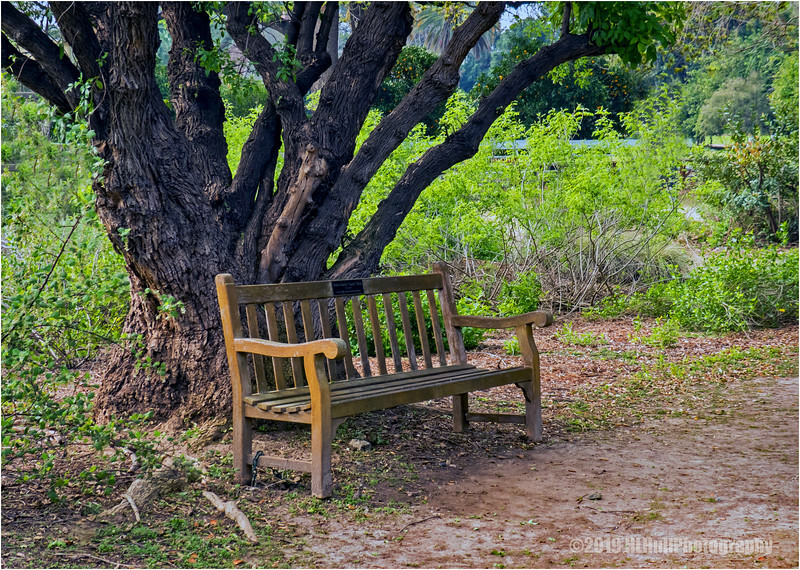 Such an inviting spot...would love to sit there and wait for birds to appear! Great find. That looks like a great spot to relax for bit.